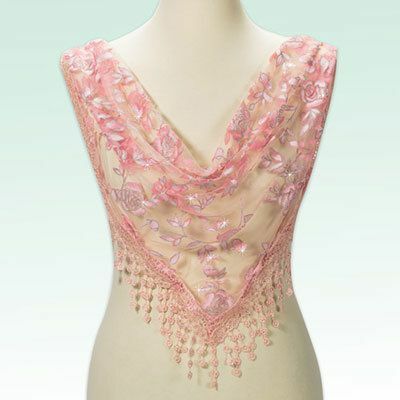 Victorian inspired with a lovely ethereal quality, this sheer pink Rose Droplets Scarf features printed roses with silver glitter detail and rich lace droplet fringe along two sides. Polyester. Machine wash. Imported. 20" x 30".